As the number of music enthusiasts increases, more and more music platforms are also developed to cater to different demands nowadays, including YouTube, Spotify, iTunes, Amazon Music Unlimited, Google Play Music, Tidal, Apple Music and so forth. However, problem is that like Ocean, you are not allowed to listen to all songs for free. Most of popular and classic ones have to be paid. Besides, some only show the high tide while others even offer no download button. In this case, what you can do to download Thanksgiving songs without limitation for the upcoming Thanksgiving Day? Don't be upset. This article will help you out now. Joyoshare Screen Recorder for Windows (or Joyoshare Screen Recorder for Mac) is an ideal tool that can be used to capture whatever is going on your desktop screen. By adopting the most advanced screen capturing technology, it allows you to grab any audio activity in high quality, such as streaming music, system voice, microphone sound, online radio, gameplay music, YouTube song, etc. This intelligent Thanksgiving song grabber even offers diverse recording options to delight you. Specifically, you are entitled to create scheduled capturing task ahead of time, skip undesired parts, cut recorded songs and edit ID3 tag info. More than that, it's available to customize format parameters, including codec, channel, bit rate and sample rate. Your Thanksgiving songs can be exported as any popular format, like MP3, M4A, AAC, OGG, FLAC, AC3, WAV, M4B, M4R, MKA, etc. 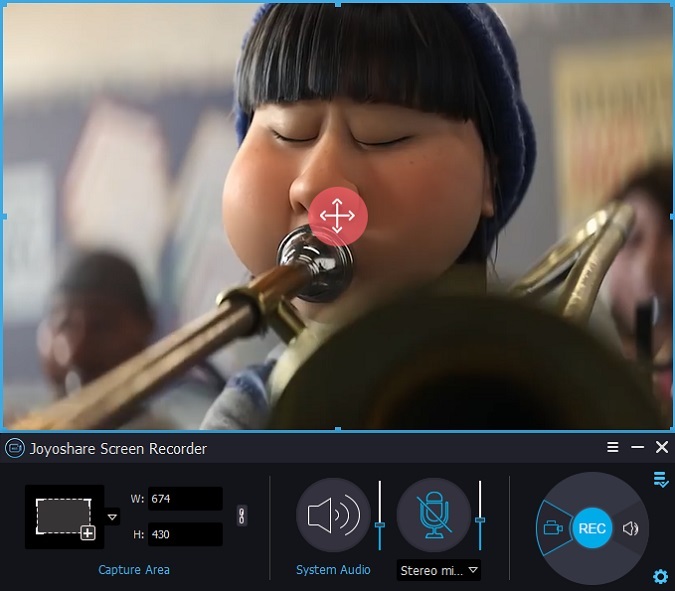 You can directly get Joyoshare Screen Recorder run on your desktop as long as you have downloaded and installed it in advance. Then it's time to switch recording mode by tapping on the icon next to "REC" button, which is applied to record audio only. Plus, you can disable microphone sound and only keep system audio option open to avoid any possible unexpected noise. 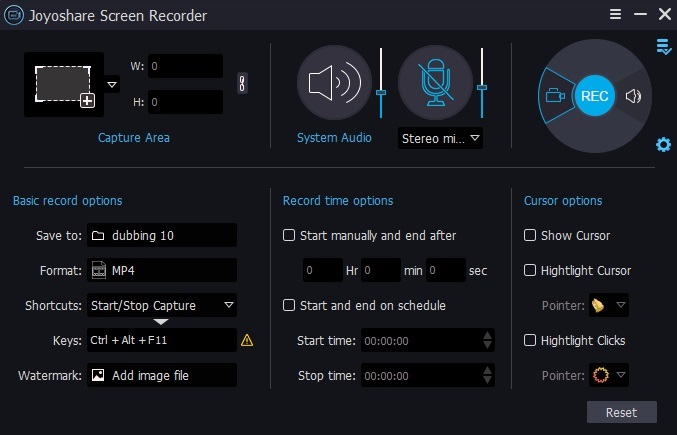 Note: Joyoshare Screen Recorder can also have wonderful performance when it serves as independent video recorder (you can press "record video and audio" icon near to the red "REC" button). In this regard, it is capable of recording any ongoing videos, for instance, Facebook chats, Twitch streams, class lecture, gameplays, Google Hangouts, webinars, remote desktop sessions, etc. To unfold all hidden recording settings, you should go forward to press the "gear" icon at the bottom right corner. Afterwards, you can access to change storage location, select destination format, personalize parameters, set shortcuts or add recording assignment. Navigate to any music platform and open a Thanksgiving song you feel like keeping on local folder. Simply click the red "REC" button to initiate recording process. During the capturing period, you are permitted to hit "Pause" button to leap unwished sections or press "Scissors" button to slice this ready Thanksgiving song. You have right to manage all finished Thanksgiving songs in "History" list once the recording process comes to end. 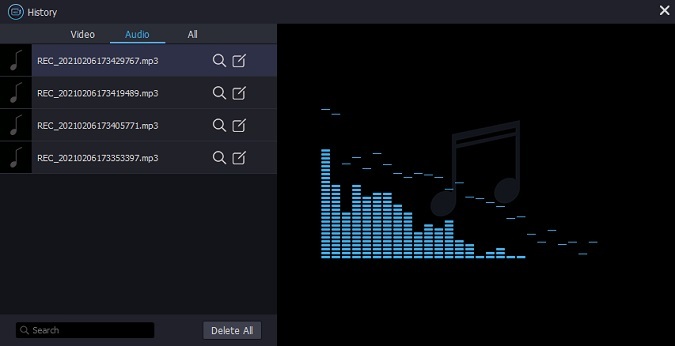 In details, it's accessible to play music, revise name, open file location and edit audio. The editing tool gives liberty to trim downloaded Thanksgiving song at your own will and correct ID3 tag info, such as title, artist, composer, year, genre, cover, etc. in the way you like.